In 2011, Daniel Fleres set out in search of evidence for the existence of the mysterious Swanicorn creature. After a year of investigating, researching, and exploring, Daniel had accomplished much more than he had expected. Not only did he discover the evidence for their existence, he discovered the Swanicorn themselves! There were so many different types. He saw Panda Swanicorns, Fine China Swanicorns, Flamingo Swanicorns, and the magnificent Tiger-Butterfly Swanicorn along with so much more! 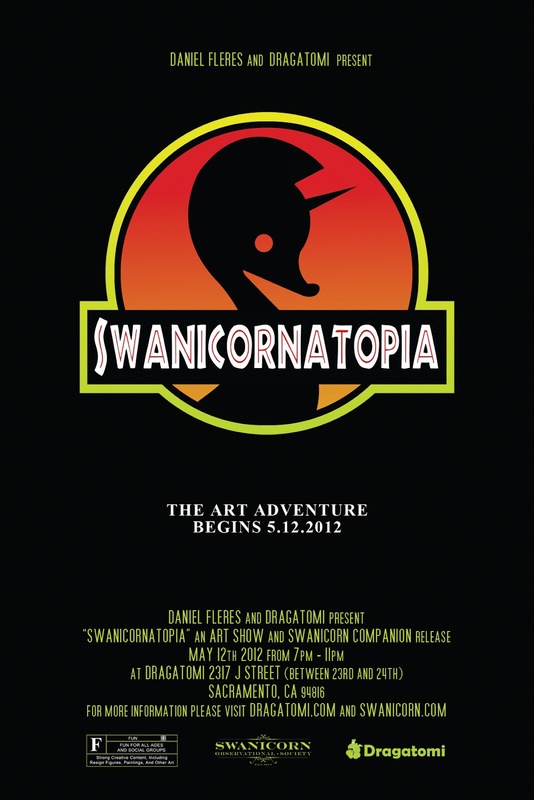 Join us this Saturday May 12th, where Daniel and Dragatomi take you to “Swanicornatopia” - a collection of paintings inspired by his exploits. Coinciding with this adventure is the release of Daniel’s figure “ The Swanicorn Companion”. 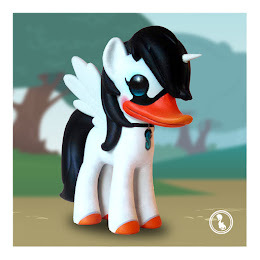 The 16 Swanicorn Companions are made of resin and stand at approx. 7 inches tall. They are all hand painted with each one being a unique kind of Swanicorn. May 12, 2012 – The adventure begins….